The recently concluded global Mobile World Congress 2012 in Barcelona was a glamorous Mobile Tech event that is bound to change 2012 Mobile History. Now we are excited about this event because it’s about mobile Technology- what really changed Uganda and African at large and whatever happens in Barcelona directly influences the digital landscape right here. My colleague Onyait Odeke looked at the devices and vendors that featured at the event and you can first read his post here.It’s worth noting that our very own MafutaGO was won an award at MWC. According to appcircus website, “Mafuta Go will help its users find the nearest petrol station with the cheapest prices for Gas………. The first of its kind in East Africa, MafutaGo was made by a group of passionate universty students who saw a need and wanted to address that need.” So congs and we’re proud of you guys. According to GigaOM – IP services developer Mavenir Systems is launching a new cloud messaging platform next week that could turn carriers’ staid old text messaging into a much more vibrant communications platform on par with services like Apple’s iMessage. Ovum estimated that, globally, operators missed out on $22.6 billion in SMS revenues to IP text and message providers from both phone vendors like Apple’s iMessage, Samsung’s chatOn and the obvious and fierce Blackberry messenger and to independent service providers like Skype, Facebook chat, Gtalk, Viber, Whatsapp(won an award at MWC 2012 for best overal mobile app). Allow me to indulge you a lot more into this from my own experience. I’ve an android app called Viber which to me is one of the best innovation in Telecom. This app uses my data connection instead of the SMS signalling channel to send messages (and sometimes call on a good 3G signal) my friends and family who also have Viber app installed. For messages, it takes about 1Kb (Uganda Shs 0.2 on MTN). But more than cost benefits, is the rich multimedia experience(text, photos, files, audio) users get from these IP services – something we’ve long waited for and still don’t get from the Telecoms, but won’t wait any longer. So shall we see anything like SMS 2.0 anytime soon? In my view, most likely not. Telecoms have to wait for bureaucratic standardization process from ITU or GSMA or whoever which is a long process. Plus phone vendors have to install SMS 2.0- like clients on every phone out there! But Make no mistake, SMS will continue to be the baseline messaging technology and being a very vibrant cash cow, Telecoms will fight tooth and nail to keep it going. Wi-Fi on the mobile phone as I have said before was on my Tech-wish-list on the Mobile phone back in 2007. Now it’s a standard on all smart phones (if yours doesn’t have, please take it back) just like it is on laptops. 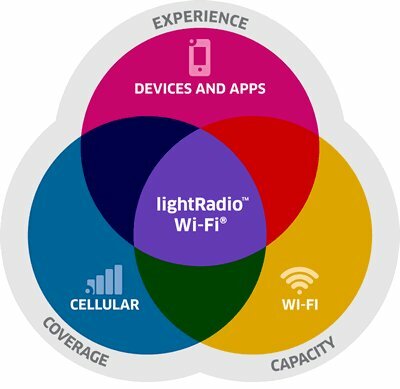 Carriers and network equipment vendors can’t overlook this development and alcatel Lucent have already stepped their feet on Wi-Fi waters with their award winning lightRadio technology. It’s been a decade now since Microsoft released it’s revolutionary operating system – windows XP. It still runs on some machines and by far the most popular OS in some regions like Asia and even Africa. After XP, MS redeemed itself from it’s windows Vista embarrassement and shame with windows 7 – according to me “a well polished improvement of windows XP “. However, since then the technology has evolved to what the legendary Steve jobs called “Post PC-era”, something that Microsoft rightfully acknowledges with it’s new tablet-friendly windows 8 OS whose consumer preview was released last week. Windows 8 runs well on the traditional PC with the usual mouse and keyboard inputs we’re all used to. It’s fancy Metro UI(User Interface) puts windows 8 on touch-based tablets. With this Microsoft, reinstates itself as strong contendant against the big guns – Google and apple in the tablet OS battle ground. Am yet to use it and therefore, I’ll restrain myself from speaking more than i personally know and believe. 4. Androids and iPhones invade the enterprise thanks to Citrix’s Citrix Receiver technology. Up untill now, the enterprise has been in a long time love affair with Blackberry. Aside blackberry currently being a sinking ship unless RIM does something radical about it, employees now go to work with their droids and iOS devices – something the enterprise people can nolonger ignore. What other better way to enable staff access business applications from their devices which increases mobility and hence productivity than using Citrix award winning technology? Sure you may have other alternative platforms, but the bottom line is these devices are here to stay and it’s high time your Tech department integrated these devices with your business processes if you haven’t yet. There’re other operators like Verizon are soon turning on the 4G tap and expect it to go mainstream by atleast 2014. However, here at home, am completely not impressed by our operators. Operators are still comfortable with EDGE (2.5G) despite a growing need of faster data pipes by subscribers which includes myself. I know about MTN’s branded 3G+ network, but a close look at my phone signal, it’s far from true – if anything partially true. So operators need to drum-up their networks to true 3G networks before we hear anything 4G. If we missed something significant, please do tell us in the comments. You can also add your thoughts there.